We helped strengthen the connection between the National Rugby League and tomorrow’s little league fans by designing the mascots of every team to build an emotional connection. 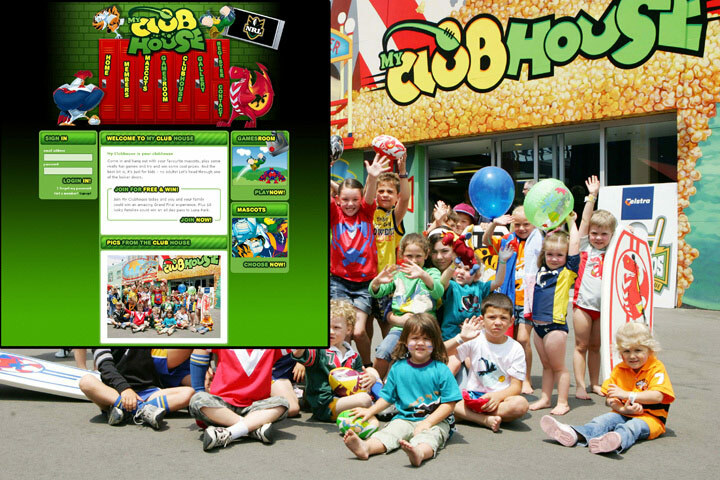 We popularised the mascots by creating an online world called My Clubhouse that was complemented by ‘physical’ experiential activity at Sydney’s Luna Park. This activity was supported by a fun logo, colourful characters and great games so kids can interact with their heroes online or play with them in person at select outdoor sites.